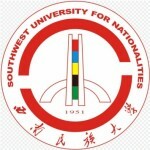 Southwest University for Nationalities (SWUN), founded in 1950, is one of the top Chinese minority universities in the country with 56 nationalities. This reflects a broad cultural diversity including rich minority customs, the literature, etiquette, folk arts, music, dance, food, medicine etc. SWUN has 23 colleges and over 29,000 full-time students. The three main campuses cover nearly 500 acres and are all located in Chengdu. Chengdu is the capital city of Sichuan Province and a center of culture, science, and technology. We have professional experience offering special language training programs in Chinese, Tibetan, Yi, Qiang and other languages. For international students, the university offers organized field-trips to cultural sites. Our multi-cultural environment offers a place for you to experience the beauty and diversity of China. We receive over 400 overseas students every year, and we have developed many exchange programs with universities in more than ten countries.